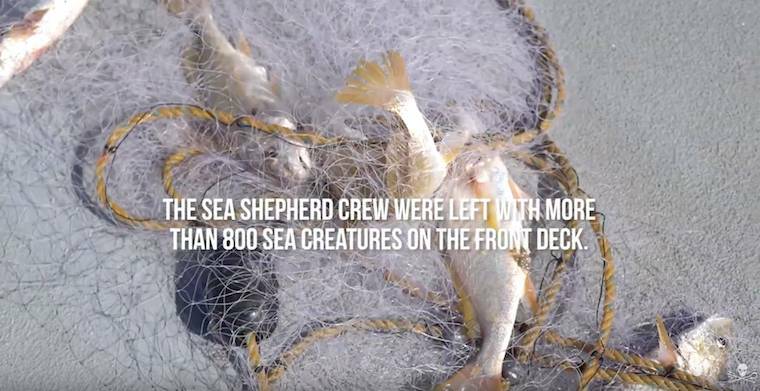 Our crewmembers were left with more than 800 sea creatures on the front deck, trying hard to save every animal that they could, but more than 700 couldn't be saved. Sea Shepherd was patrolling inside the vaquita porpoise refuge when we spotted poachers with a gillnet in the water. The poachers approached the Sea Shepherd vessel, gesturing for us to leave. 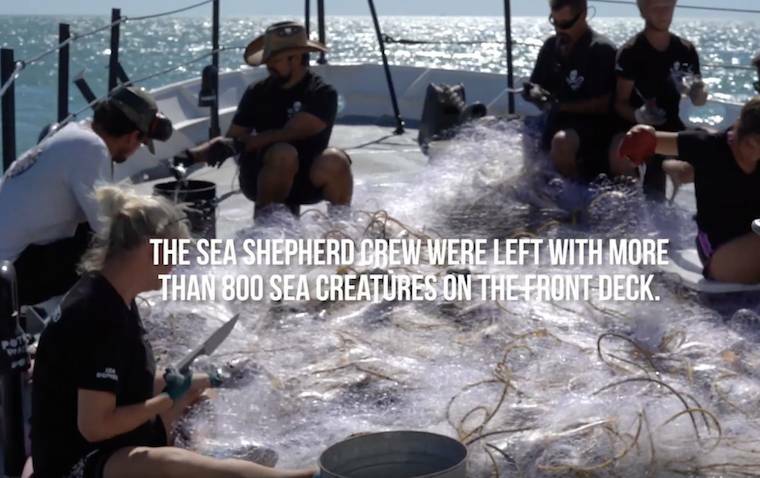 As Sea Shepherd removed the gillnet, the poachers desperately started to pull the other end. Realizing they would be unable to retrieve the net, the poachers cut the line and fled on their undocumented skiff. These poachers are backed by some of the most powerful cartels in Mexico, so any interaction with them could mean danger for our crew. These death traps could result in the vaquita‘s extinction if we do not get them out of the water. The gillnets also threaten other endangered and protected species in these biodiverse waters. Operation Milagro is an urgent and incredibly important mission for Sea Shepherd. Learn more at Sea Shepherd’s campaign in defense of the highly endangered vaquita porpoise.